This mountain is located in southern Albania, close to the border with Greece. The starting point of reference is Hwy. 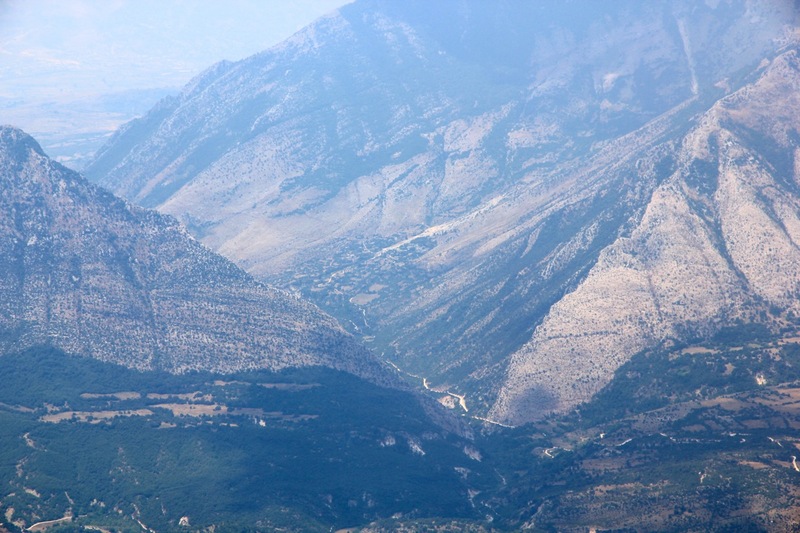 SH4, running from the city of Fier in the north, via Tepelene and Gjirokaster to Greece. This Hwy. has been significantly upgraded in recent years and (in 2013) except for a section north of Tepelene, is highly recommended. Drive south from Gjirokaster to the well signed turnoff for Libohove. This is at location N39.99755, E020.21594. Measure carefully from here. Also, study this map for further details on the access route. At kilometer 3.8, turn left. Continue to kilometer 5.5. The paved road continues to Libohove, take the (dirt road in 2013) left fork. Keep left at kilometer 6.0. There is a new fork at kilometer 8.9, go left here. At kilometer 11.9, the route has entered a small village, the road was bad here (2013), a sign pointing left says Polican, follow this going left. At kilometer 12.1, still in the village, keep right (uphill). Then at kilometer 12.5, go right. You are now on a narrow road that will take you through the impressive canyon that you see ahead. 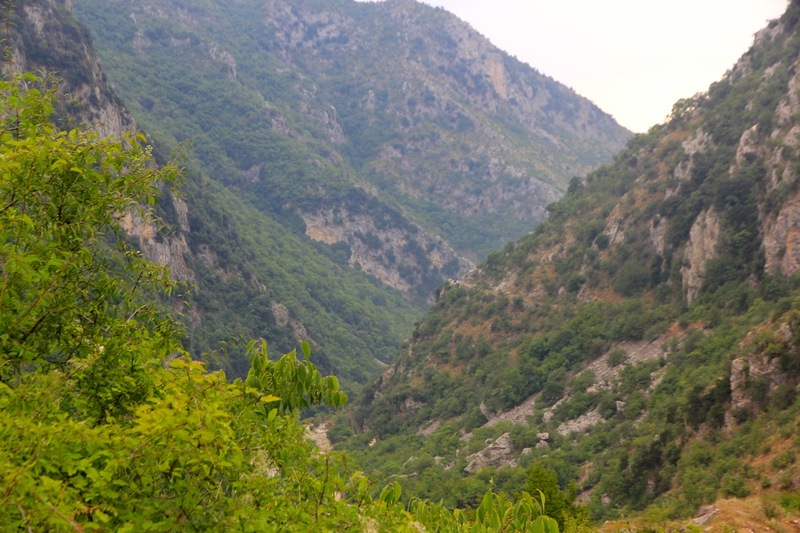 This canyon is the only access (from Albania) to the pretty large Zagoria Valley, hidden between huge mountains. Quite naturally, the connection south to Greece has been important and perhaps not surprisingly, many (most?) 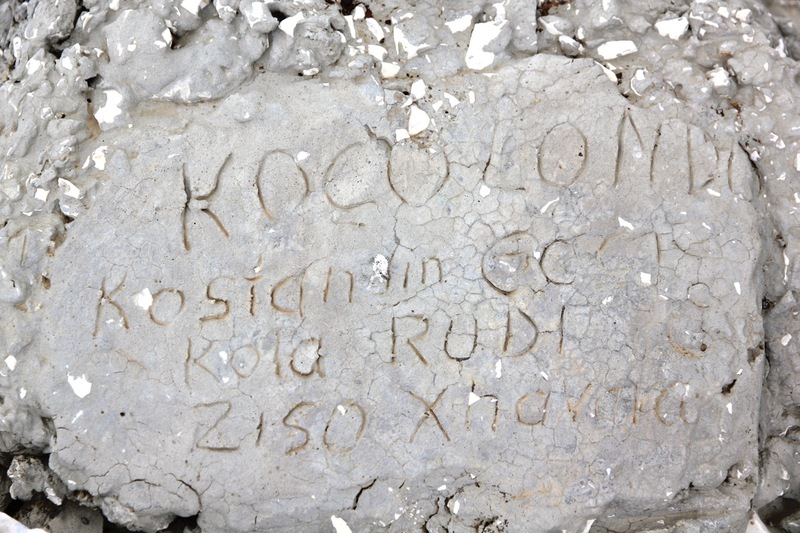 local people in the Zagoria valley speak the Greek language. 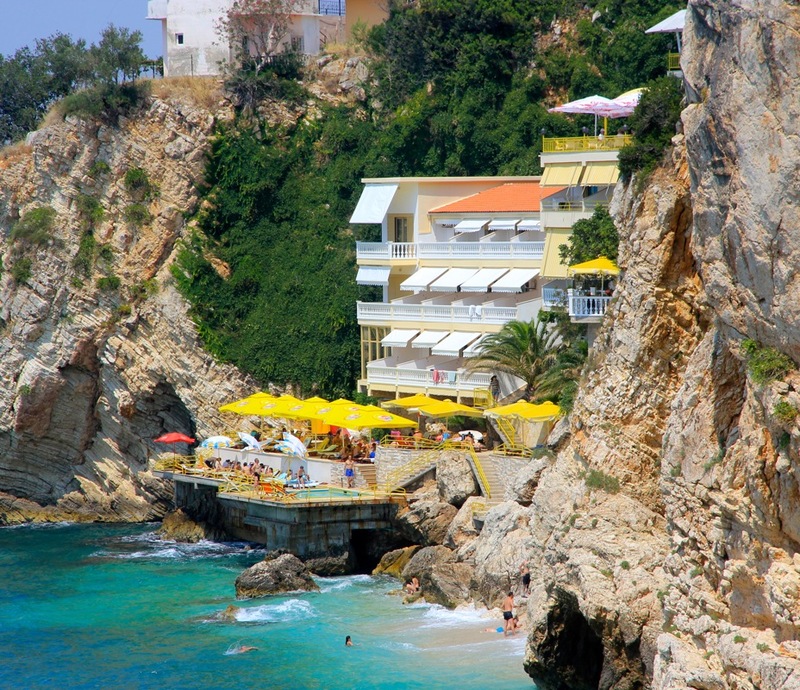 It seems plausible that the original access to this valley came from Greece. At kilometer 25.9, you arrive in the small village of Polican. You will immediately see a road sign pointing right for the villages Skore (5) and Skopik (11). Turn right here and continue to the center of Skore at kilometer 30.5 The road makes a left turn (then uphill) as it leaves Skore. The house immediaely on your right as you make this turn, belong to Mr. Dimitris. (see below). 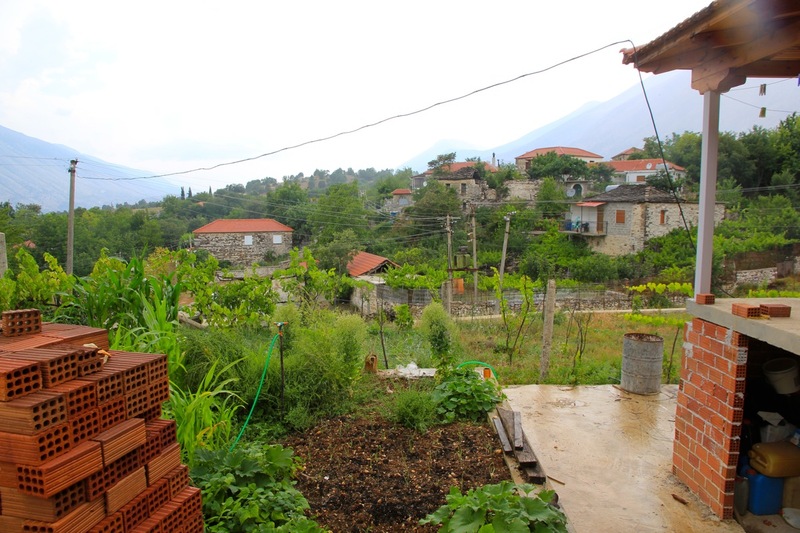 Continue along the road towards Skopik until kilometer 33.9. Here, a small side road forks (very) sharply left (and uphill). A car may have to do an extra reverse in order to get around this turn. This road is a bit rougher, and one may consider parking unless driving a 4WD vehicle. Follow this road 1.2 kilometer to a flat, grass area at kilometer 35.1. This is the trailhead and parking. Park on the grass to the right hand side. This location is N40.11019, E020.39694, elevation about 1070 meter. From the parking area, a trail runs flat through the grass to your right (if facing the mountain). 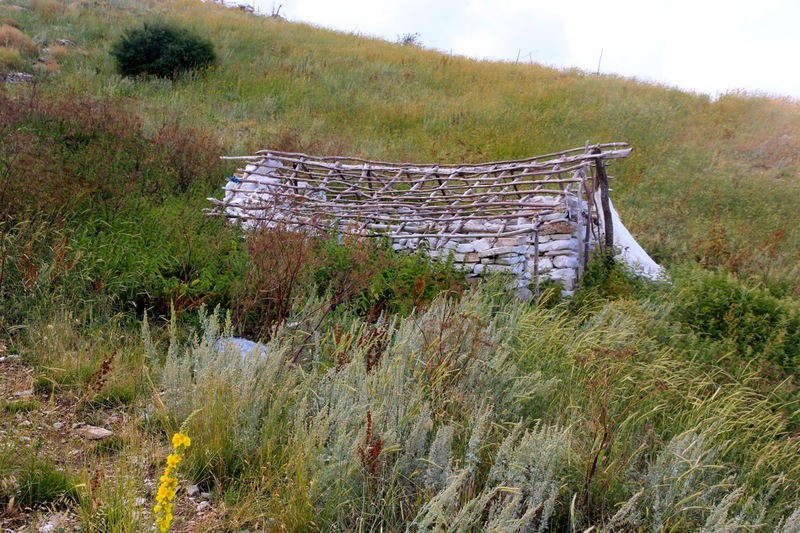 Follow this trail, it is the one used by the local shepherds and therefore quite well worn. Soon, it turns more left and crosses a section of talus. Above this, it generally ascends with many zig-zag turns in a very sustained way until reaching the small shelter at roughly 1600 meter of elevation. 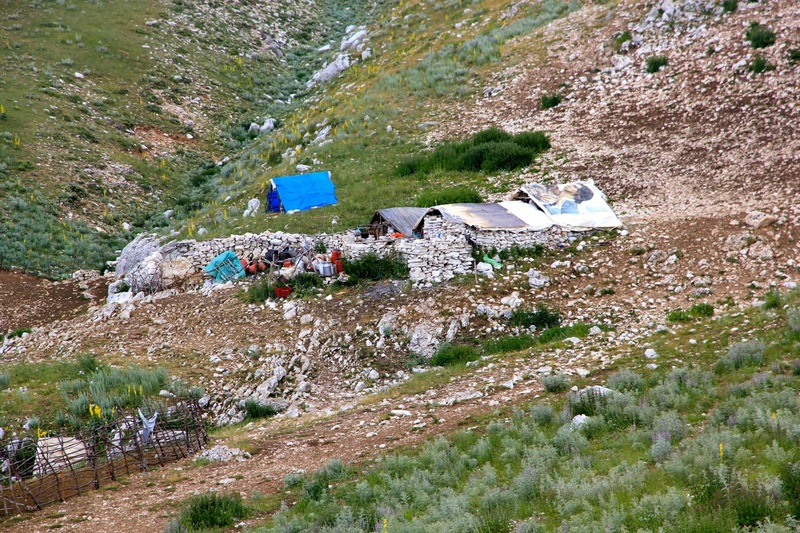 Shortly above this hut, there is a trail fork. Take the left fork (see the map). 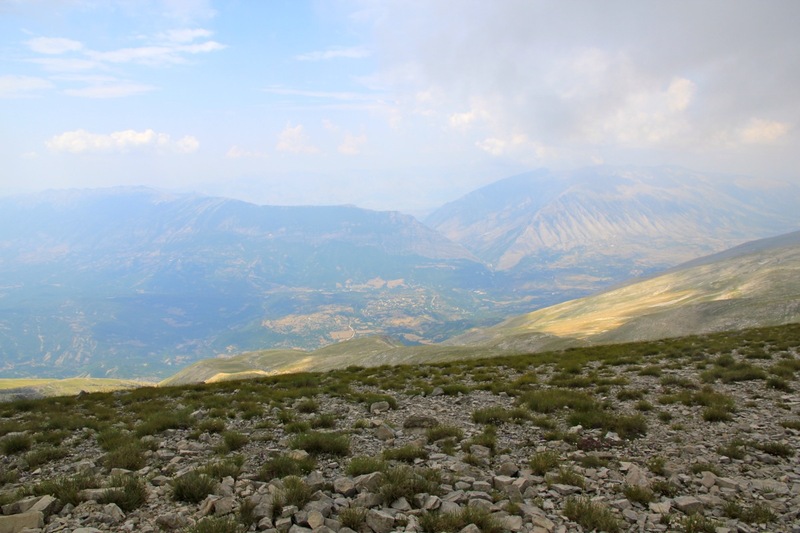 The trail continues to ascend and serves a shepherd quarter at roughly 2000 meter of elevation. The dogs up there could cause a serious problem, see my section below with general advice. A possible (no guarantee!) way to avoid the dogs that essentially adds almost no time/distance to the climb, would be to traverse more left while ascending to about 1800 meter. Then cross the distinct gully and continue your ascent on the left side of the next ridgeline extending downslope. You may then be out of sight and (with favorable wind) also out of smell and the dogs may not care to chase this far (they are generally lazy). Then ascend to the col north-west of Papingut, followed by a nice ridge walk to the summit. 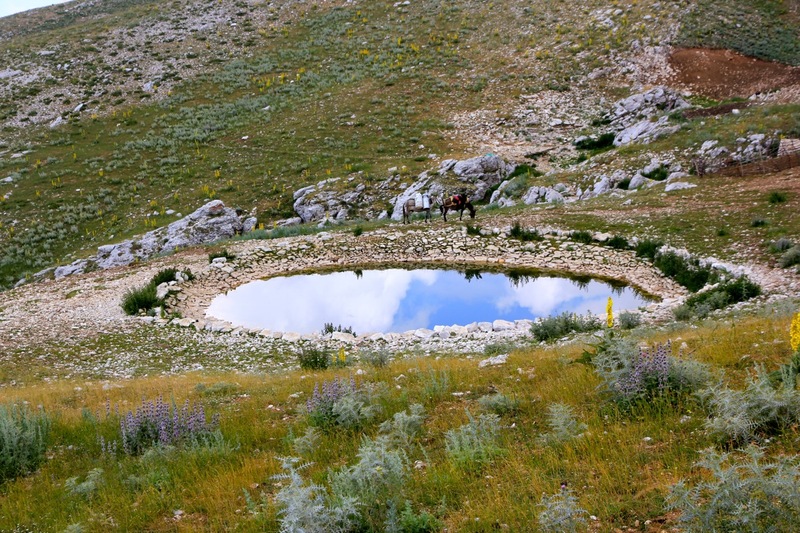 If you do follow the trail, you will arrive at a circular water basin and the shepherd camp. Continue uphill slightly right, then follow the natural, broad ridge connecting with a final summit slope. The terrain is easy to walk anywhere at this elevation. 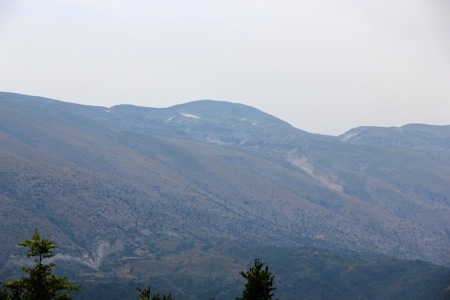 Note: This mountain is much steeper on the side facing the valley on its north-east side where Permet is the main town. However, the peak can be accessed and climbed from this side. 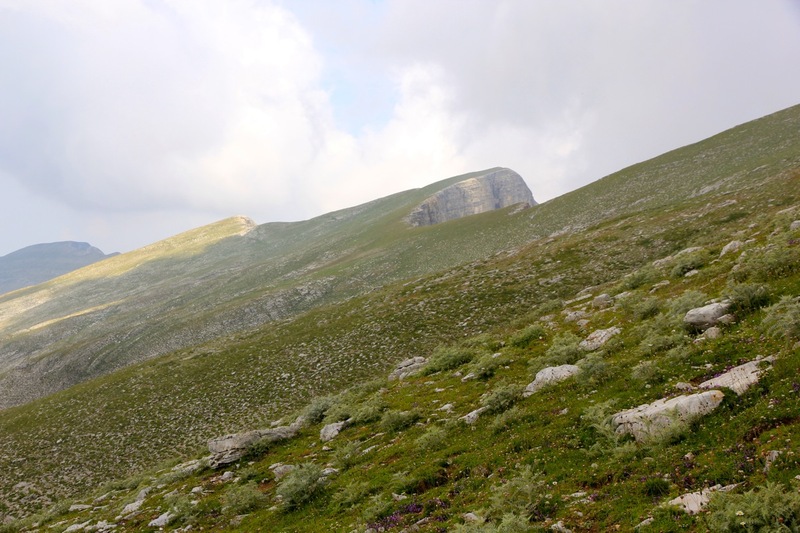 A very nice and comprehensive entry on climbing in Albania has been written on Summitpost. From this report, I quote: "Drive south east on the road from Permet to Leskovik eight km to the intersection of Vjsose River with Lengatices River at Petran. Roughly eleven km farther at a bend in the river, a sharp right turn off the road leads to a bridge crossing the river and providing access to the villages of Pellumbar and Strmebc on the other side. The road peters out near Strembcec but a distinct goat path leads up into the moraine at the base of Nemercka/Drities/Papingut. From the moraine, a variety of (climbing) routes are possible." This reference indicate that there may be a route of (YDS) class 3 from this side. Obviously, harder routes do also exist. 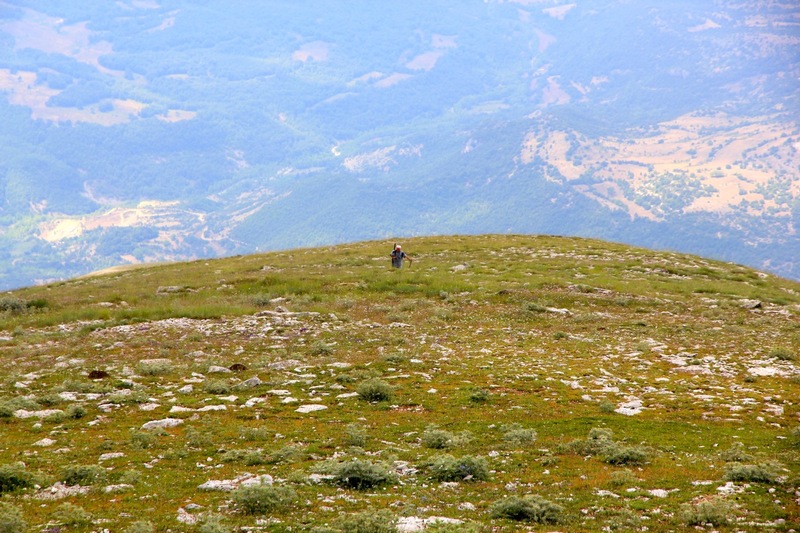 This was the last Ultra to be climbed on the Balkan. It is also one of the more remotely located peaks. Some preliminary research indicated that there could be severe issues with agressive dogs. At least one party had been forced to give up their ascent because of attacking dogs. I started out from our hotel Liro (south of Vlore) shortly before 0500. No traffic and good roads got me quickly to the beginning of SH4. 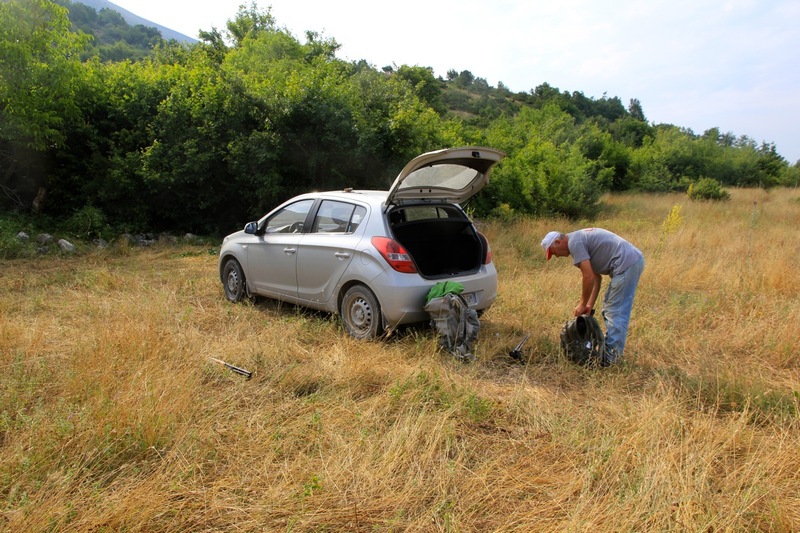 After some consultation with my map, I decided that 120 km/hour on good roads was more than enough to pay for the extra distance relative to the uncertainty and risk to get stuck/lost on "white" dirt roads trying to make a short-cut (from Vlore directly to SH4). Roads have generally improved a lot since I was here with Pål Jørgen in 2007. I drove past Tepelene where we had stayed, then onwards to the turnoff towards Libohove. Soon, the road got significantly worse, the road serving my destination was definitely a dirt road. Already driving through the first little village, Suhe, got me slightly worried. 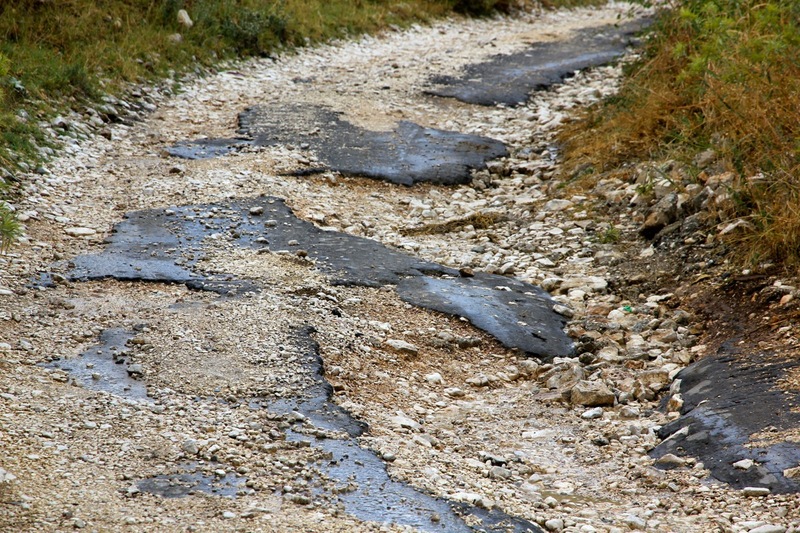 If the road got progressively worse, then I would not be able to drive to the village of Skore. Fortunately, the quality remained stable. 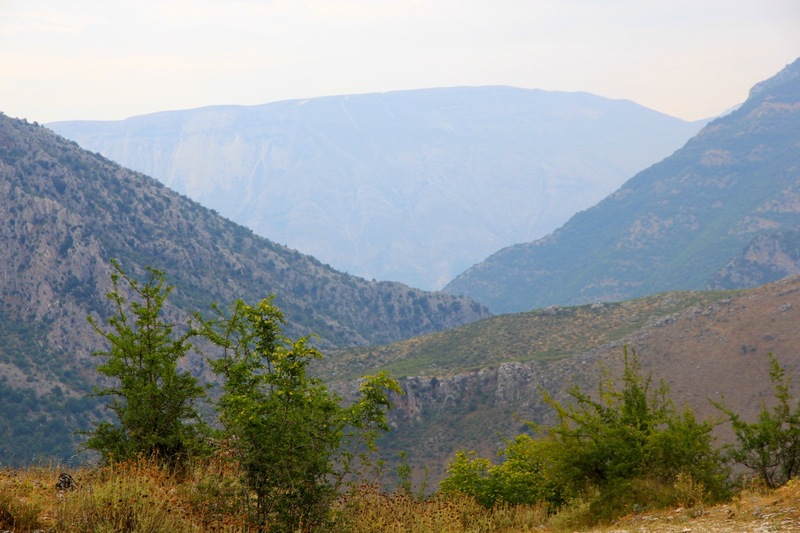 The gorge/canyon that provides the only access to the valley of Zagoria from Albania, is certainly impressive and pretty wild - to build even a small road must have taken some effort. Beyond this gorge, you see a large, bulky mountain, part of the Nemercka range. I arrived in Skore before 0830, not bad at all. My plan was to hire some local man/boy that could help defend against the sheep dogs that had such a bad reputation. The first man that showed up did not speak English, but he went away to locate a possible translator. This turned out to be a 14 year old Greek boy rom Athen on summer holiday in Skore. He spoke rudimentary Englsih in addition to Greek. That Greek and not Albanian was the language in Skore had not occured to me before now. Soon, 5-6 men were discussing my plan. They all seemed to agree that I needed to start out the next day around 0500. To climb Papingut starting now was too late. It would take many hours, at least 5 only to reach the top etc. I offered 100 Euro, but they all said I should check in the next village, Sopik, surely someone from there would be willing. This was inconvenient, since I knew that the trail started between the two villages. But I said goodbye and prepared to leave. Just as I started moving, the greek boy came running, asking if I could pay 150 Euro, in which case the guy I met initially would be willing to come along. A typical bargaining trick, I suppose, in any case I wanted most not to loose more time. A deal was agreed on Euro 150. 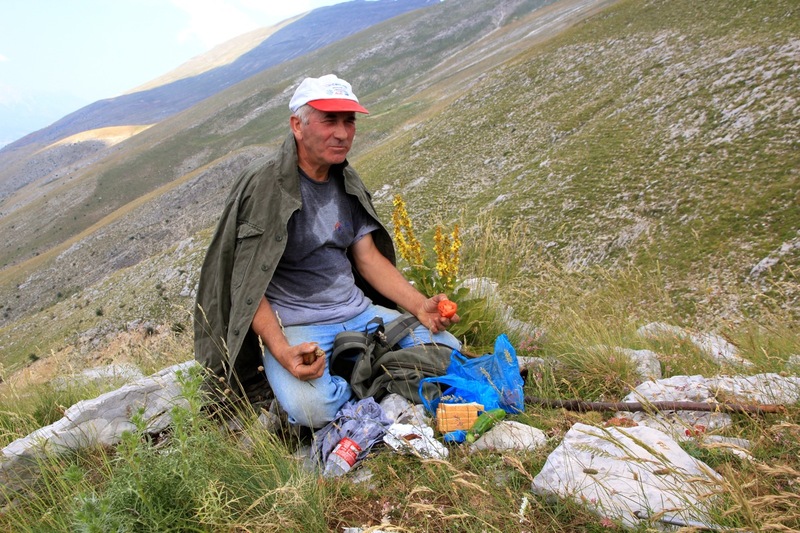 Dimitris was the guy, he quickly went home to prepare for the hike. Returning in 10 minutes also armed with a shotgun, it seemed that we would be able to meet any hostile obstacle. We got going from the trailhead at 0900. 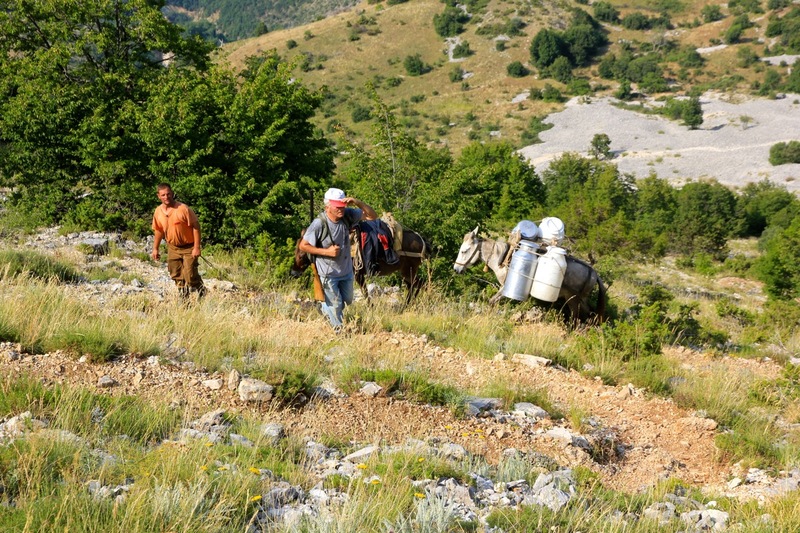 Soon, we overtook a man with two horses carrying a load up to the shepherd's camp higher on the mountain. We kept a pretty good pace, but it was obvious that Dimitris would have preferred a slightly slower pace. He sat down to rest and explained to me that he was 63 years old. When I replied that I was 62, he accepted that the pace would remain high. After about 2 hours he declared that it was time for lunch. Shortly after, we arrived at the shepherd's camp together with the local man with the horses. He had clear command on the dogs and they behaved well. These dogs were as big as you get them. In particular, one stood out as the leader of the pack. They would lay or sit around, it seemed that they felt responsibility for protecting the camp. However, as soon as we continued and their master was out of sight, we were pursued by 5-6 of the dogs. Dimitris showed how to throw rocks (and shout), but with limited effect. He got angry and fired a warning shot with the gun. The dogs showed an immediate respect for this, but not lasting long. Higher up, Dimitris had to fire again. This time all but one dog turned home. The last dog did not cause any more trouble and eventually, he also decided that he had successfully chased us out of his territory. 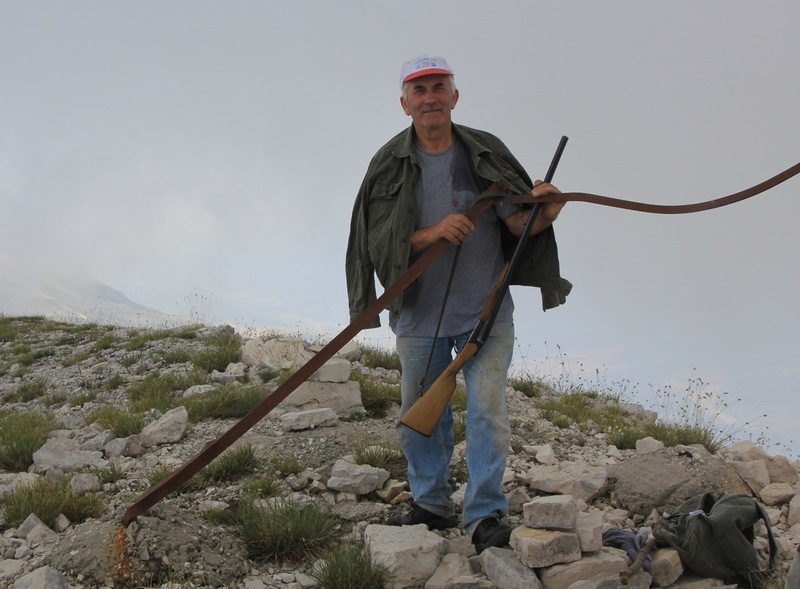 We continued uphill to the summit, Dimitris exclaimed that this was like Everest, in any case "Everest of Albania". I arrived at the summit at 1200 and Dimitris joined me about 10 minutes later. 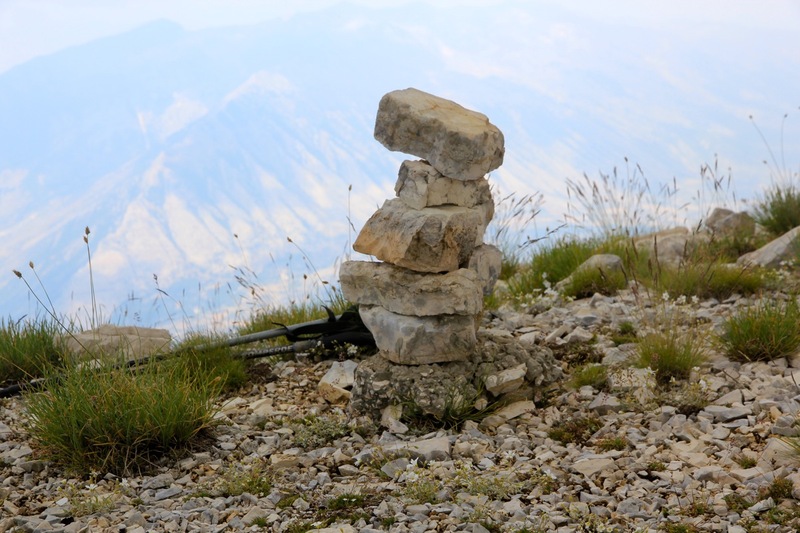 We took a few photos and built a small cairn. 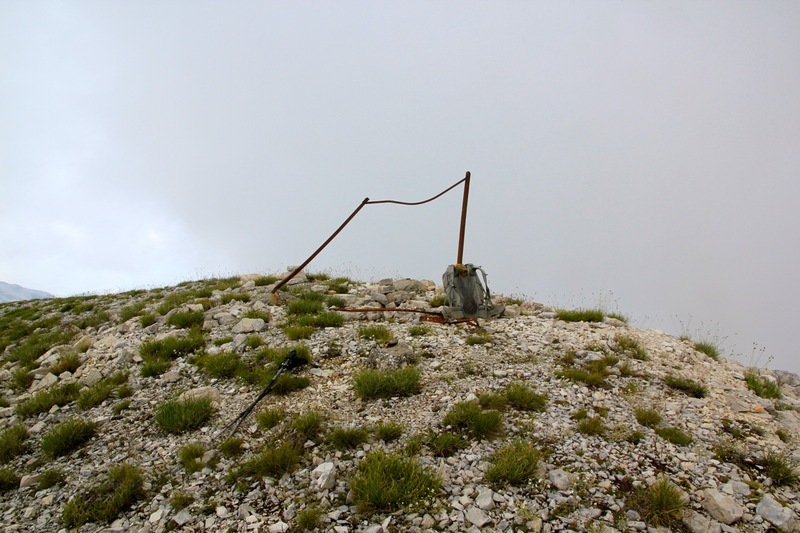 The summit was marked by some ugly iron, additionally, there was some sort of inscription near the highest point. Interesting views down into the valley on the north-east. This side has cliffs and an ascent from there most likely must involve some climbing, possibly with far fewer dogs! We left at 1230 with some thunder threatening in the far north. We walked to the north saddle, then turned downhill along a line that would go quite a bit right (facing downhill) of the shepherd campsite. The plan was successful and we never encountered any of the dogs. However, we ran across a small herd of sheep without any dogs, they are not even doing what they are supposed to do! Further downhill, the first drops of rain started falling, we could see a few spectacular lighting to the north. I pulled a bit ahead of Dimitris, ran into a new group of sheep almost by the car. These sheep had 4-5 dogs that came running, but they were respectful of my hiking poles. I made it to the car and had time to change before Dimitris arrived. His timing was perfect, well inside the car and the rain started in a more intense and heavy way. It had taken me only 1.5 hours to descend. 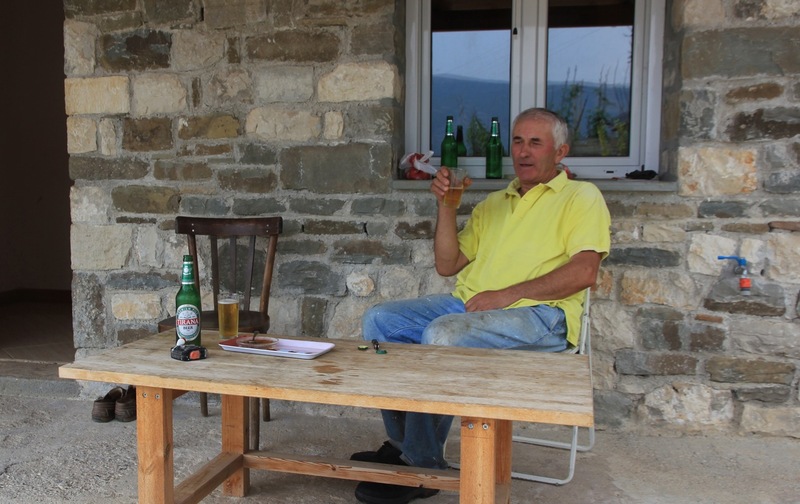 Back in Skore, Dimitris invited me to his home and we each had a cold beer. He also served me a serving of home produced honey, very sweet and tasty. I then told him goodbye, explaining that I still needed to drive back to Vlore before dinner. My return drive was uneventful and I arrived back at the hotel around 1845. 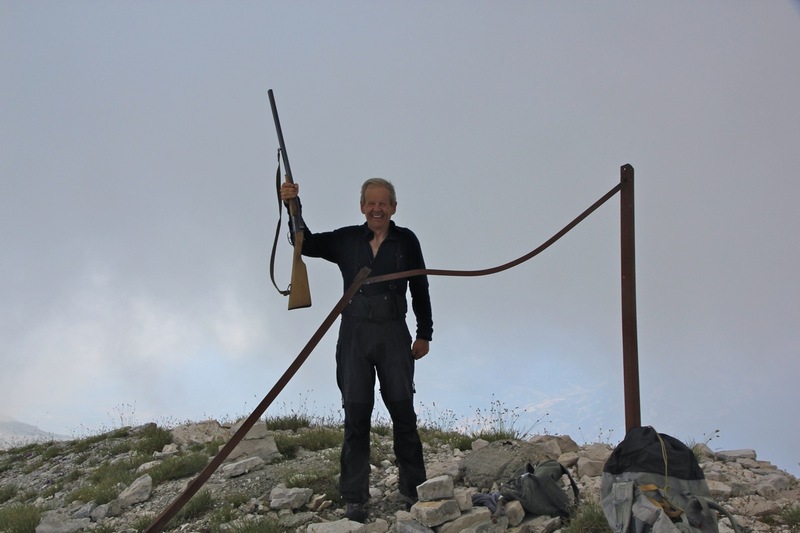 This concluded my mission to climb all Ultra prominent peaks on the Balkan and brought me an important step closer to completing the Ultra prominent mountains in core Europe. 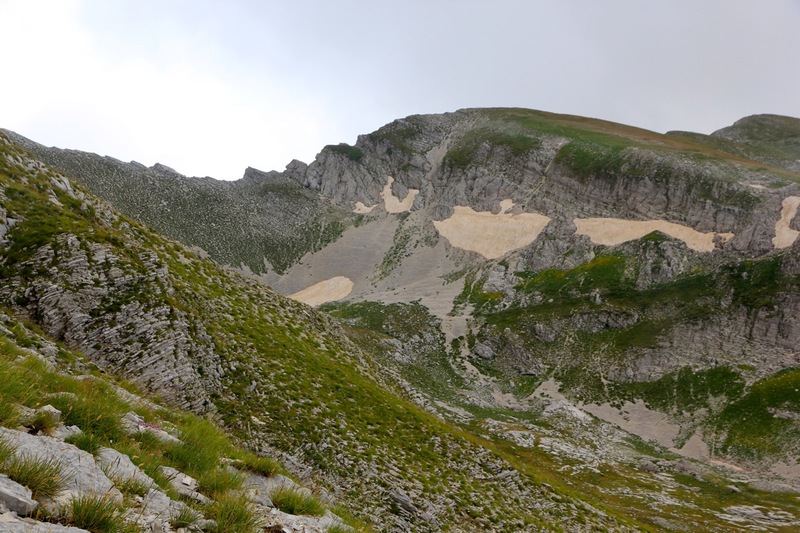 Having hiked many peaks in Greece, Albania, Bulgaria,ie. 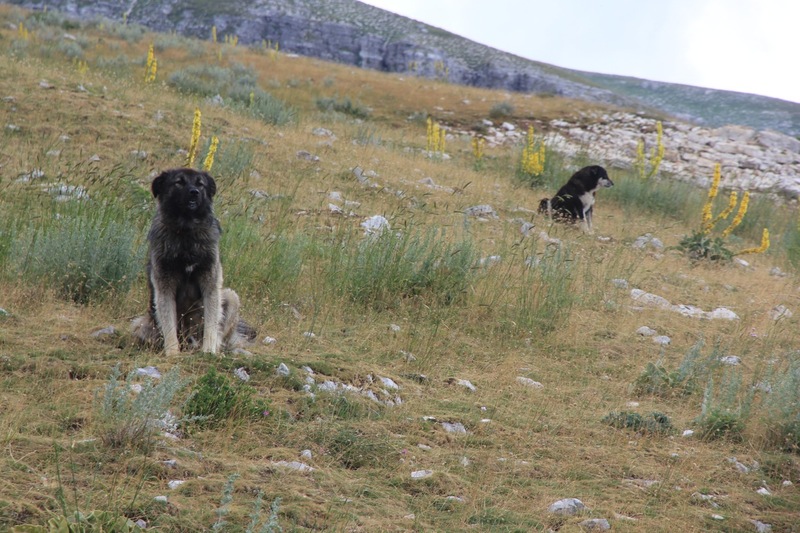 on the Balkan, I have encountered dogs numerous times. My general advice is that they pose a somewhat smaller problem than one thinks, they do look quite dangerous. 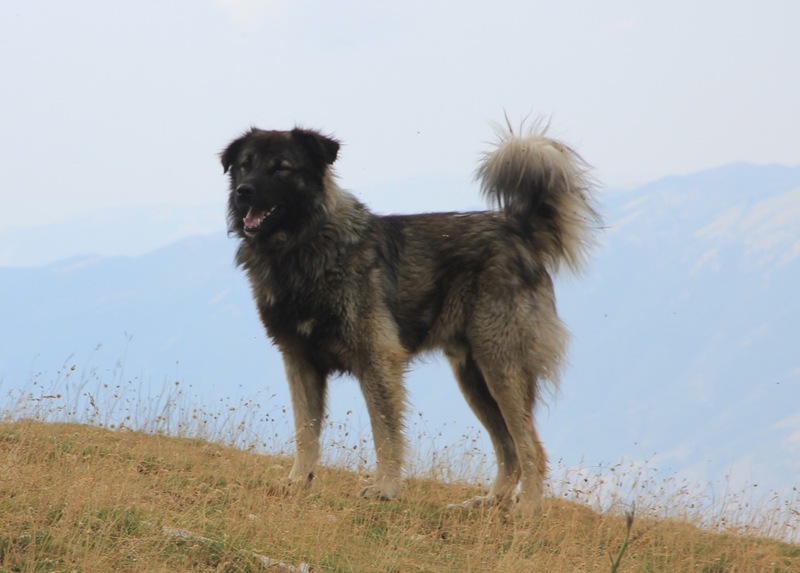 Still, these dogs are annoying for hikers/climbers in the area. 1) Show strength: The dogs are generally not very brave, the number ONE advice is to never let them think that you are afraid. Always hold your ground and shout back at them with a firm voice. 2) Fight back: Bring some defensive weapons. 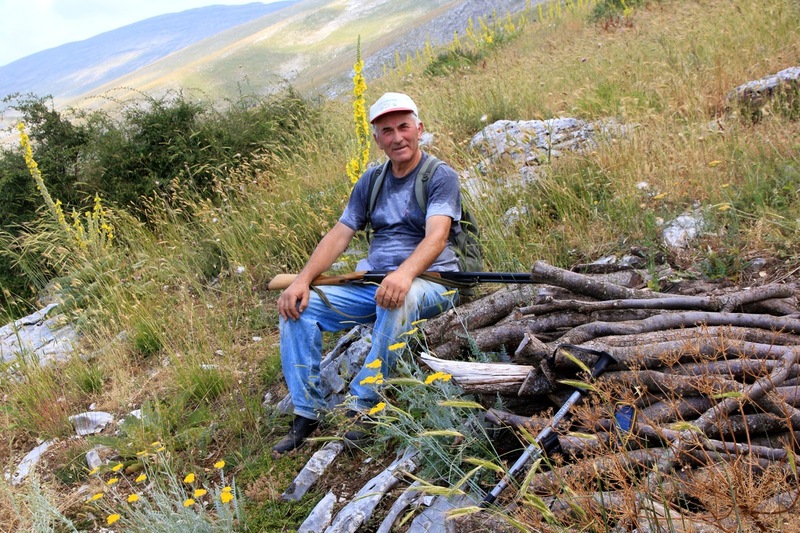 A pair of walking poles are great, pick up a suitable piece of wood if needed (at least 1.5 meter long). Point the pole at the dog and use it to keep them at least 2 meter from you. I put my pole directly into the mouth and partway down the throat of one attacking dog, it had an immediate effect. 3) Throw rocks: Use intermediate distance defense - throw rocks at them. Preferably, stay at higher ground, then throw small to medium rocks, even if you do not hit, the bouncing of rocks near the dog is something they respect. The locals use rocks, so the dogs have experienced this before. 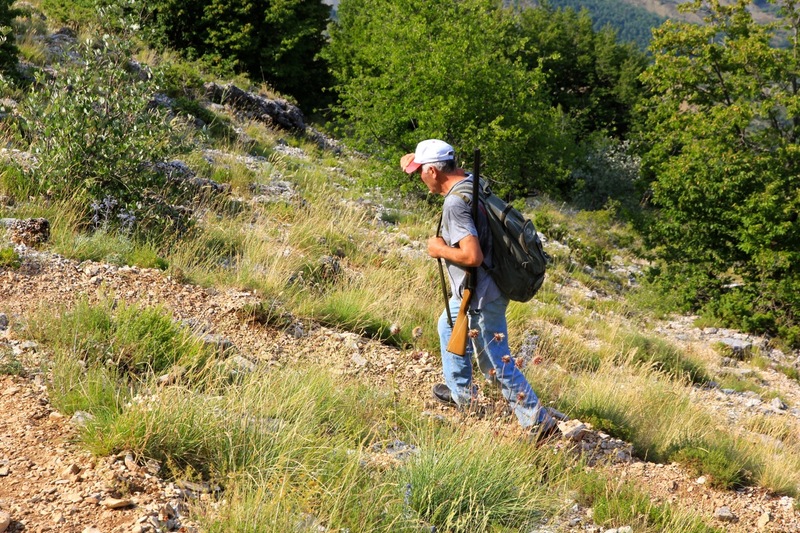 4) Show persistence: While defending as explained above, continue your hike in the direction you want to go. Gradually, the dogs (they are lazy) may turn back. Eventually, often only one dog will continue to follow you, but then normally at 5-10 meter of distance. This dog will also eventually turn back, satisfied that he has indeed chased you out of his territory. 5) Locate the shepherd: If attacked by several dogs that make continued travel hard/impossible, move in the direction of the shepherd. 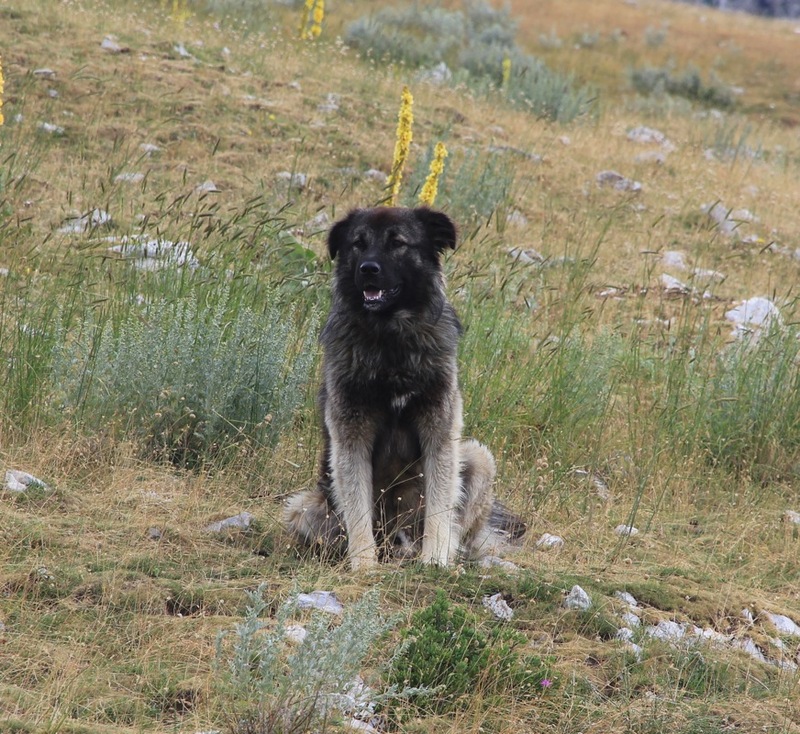 He will normally shout at the dogs (little effect), but if you get close to the shepherd, he will then be able to instruct the dogs to stop their unfriendly behaviour. 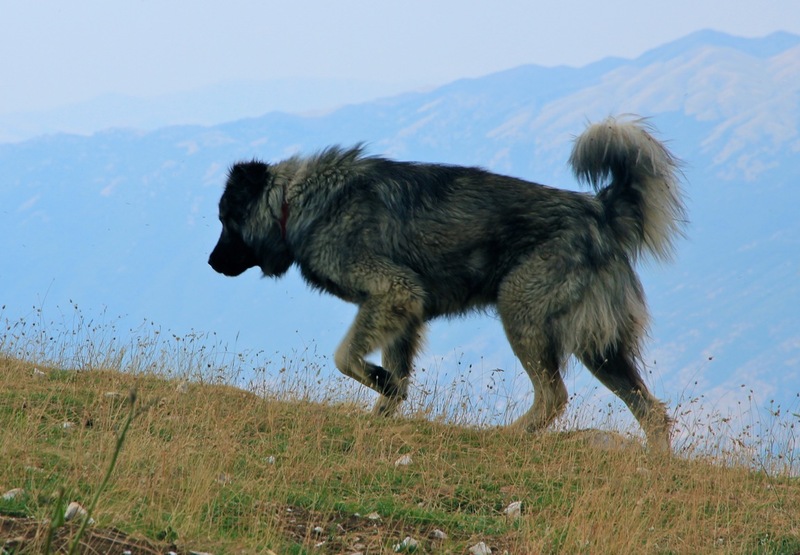 6) Increase the party size: The dogs are less likely to attack a bigger group than a solo hiker. In particularly bad areas, you may consider paying a local to come along. There are several benefits: He speaks the local language, he is used to dealing with such dogs on a more or less routine basis, you get company, he most likely needs the money more than you. 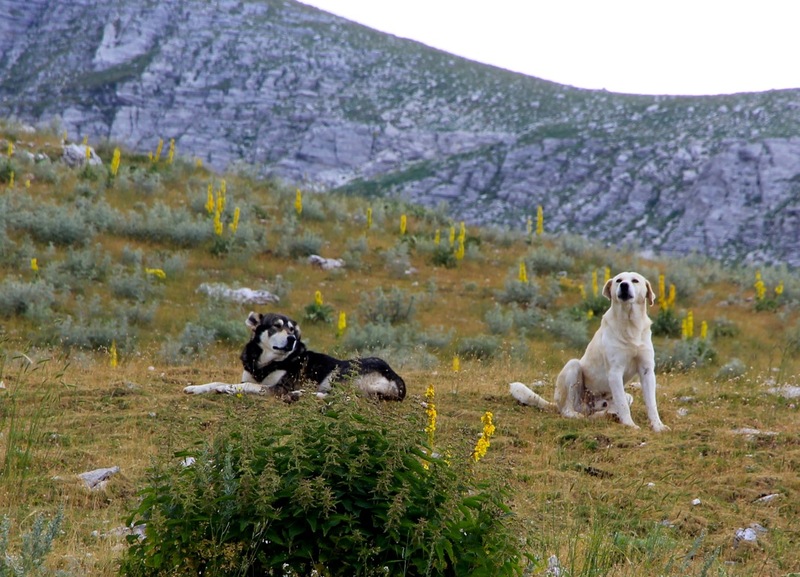 7) Avoidance: Try to avoid the dogs by picking a route around them. If you see/hear sheep, there are always dogs nearby. The dogs are lazy, the do not see details far away. If your route can be such that the wind/breeze is coming from the dogs towards you, then chances are good they will not detect you. Trails in the mountains almost always lead to places with sheep and dogs. Often the terrain is easy to walk off-trail. 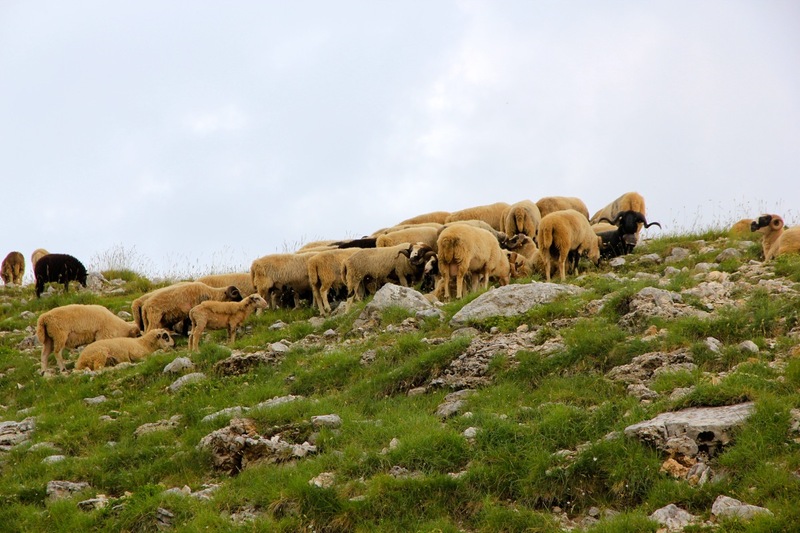 Put a ridge between your route and the likely area of shepherds/sheep/dogs. Maya e Papingut, the highest point of the Nemercka range. The terrain south of the summit.